This volume explores the function of verse in drama and the developing way in which Shakespeare controlled the rhetorical and decorative elements of speech for the dramatic purpose. 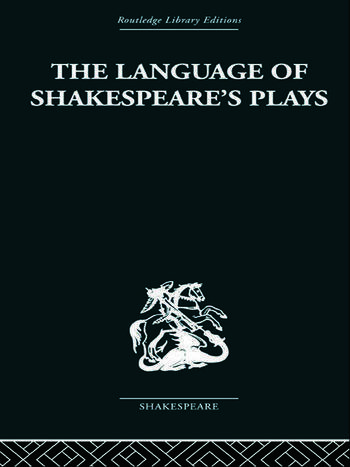 The Language of Shakespeare's Plays explores the plays chronologically and so covers all the outstanding problems of Shakespearian language in a way that makes reference easy, without any loss of a continuing narrative. This is indeed a stimulating study...' British Book News.